"Let's see if your 'Project Thunder' can really help us, doctor..."
In the far future the shinning city of Hub is besieged by giant monsters. 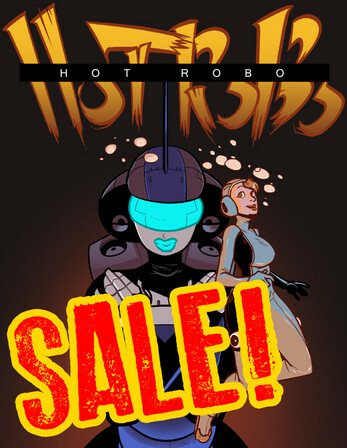 Their only hope lies with STORMWATCH and their curvaceous giant battle robot Hot Robo. It's up to them to keep the city safe! But is the monster even out to destroy the city? Or does it have other... needs? And will Hot Robo and her pilot be able to defeat it in time?? 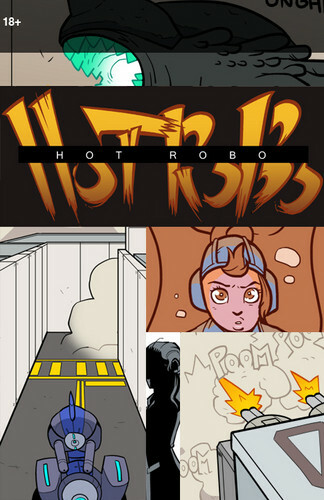 Find out in the first issue of Hot Robo, from blackshirtboy.com!